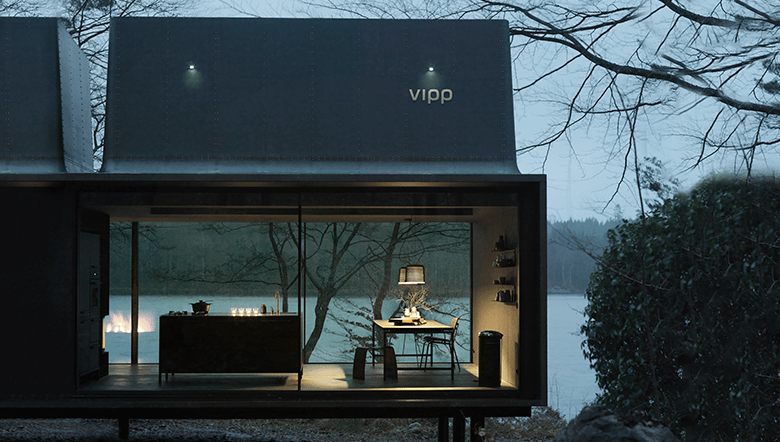 Not to get too excited or anything, but Danish brand Vipp have only gone and expanded their vast 75 year product portfolio to now include this magnificent prefabricated structure known as The Vipp Shelter. I stumbled across this when I was browsing the lovely Emma’s Designblogg, as a huge fan of VIPP products I had to help share the news about this stunning project. The aim for this 55m2 prefab is not to be a house or mobile home but more of a modern escape to nature. Even though it isn’t designed to be a home, with my experience of living in East London flats I’d much rather live in this space without a doubt! Even though it isn’t designed to be a home, given my experience of living in East London flats, there is no doubt I’d much rather live in this space! Constructed in steel with a simple yet stunning frame and huge sliding windows, this super contemporary structure would be seen as the perfect hideaway in a forest. Not only is the structure architecturally stunning, it’s practical too with sleeping quarters in the roof with sky light windows so you can lay in bed and stare into the night. 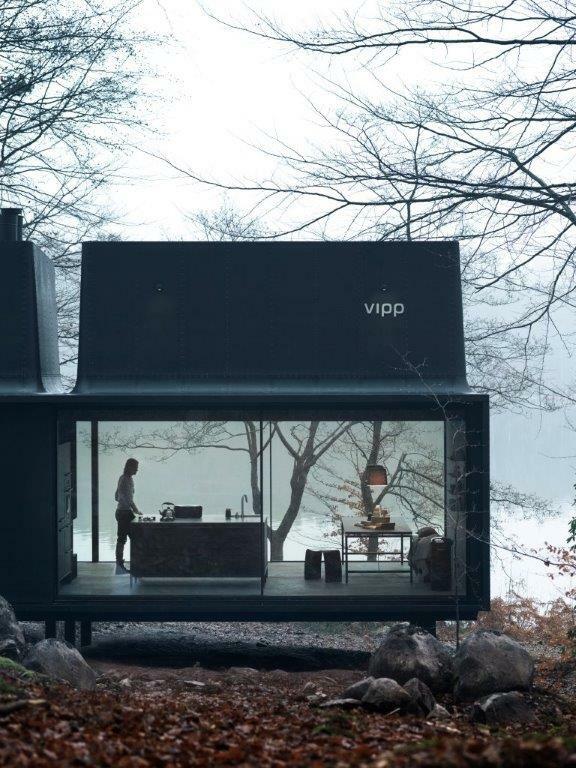 As another bonus this Vipp Shelter comes fully furnished, from the kitchen, bathroom, pots, pans, bedding and of course Vipp bins. All you need to do is find a place to put it, plug it in and relax. 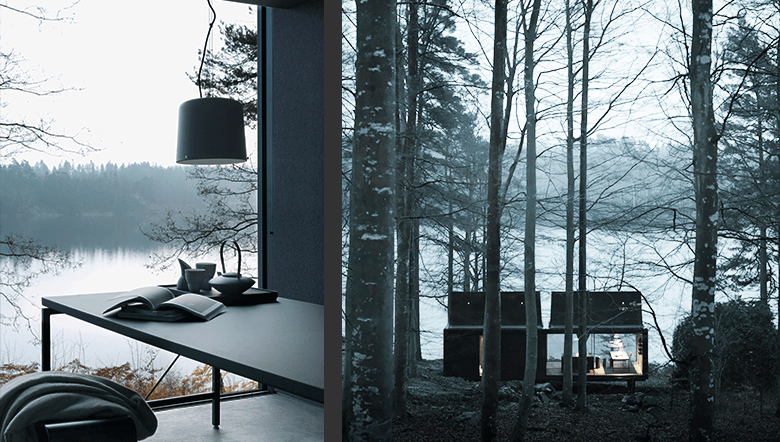 Morten Bo Jensen, Chief designer for Vipp explains “There is plenty of amazing architecture out there, but we wanted to conceive something different rooted in who we are. So we used our 75 years of experience with steel processing to craft an escape in the form of a prefabricated object designed to last detail, where the only choice left to the customer, is where to put it”.